What’s Your day of Love ? Wondering? 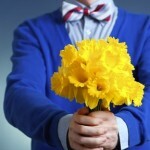 What to gift your Husband on Anniversary! Your husband is the partner to each moment of your life from happiness, sorrows, hopes, and dreams. Mere caring words sometimes are not enough to describe the feelings that exist between you and him. What better way to express your love for him than the gifts to make him feel someone ‘special’. Plan a creative surprise anniversary gift for your husband this anniversary, to surprise and enthrall him. Here are a few ideas that you can use it to make this anniversary memorable. Use your musical talent– Gift him your own music video! The idea might thrill you if you have the talent for music, but can grill you if you find yourself with no arty inclinations. However, smart technologies and apps such as animoto.com, can do the job for you. Just use your photo selection and his favorite music together and pull off the coup. Plan a short holiday– Surprise him with a short trip to an exciting spot somewhere. You can also check any promotional social media option of travel plan buy it just for him and you or family. Make this program memorable by adding special activities and outdoor plans. Gift him a Dinner date– Can you guess a romantic dinner venue or setting for dinner? There are many like dinner under the full moon, on the seaside, restaurant in a natural setting, or a romantic rendezvous. 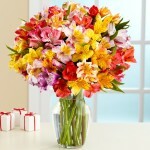 Here he can rejoice the evening in your romantic company or with the loving family to remember this for a long time. Gift of utility– Make a list of what he may be longing to have for last many months. It could be his personal wardrobe, toolset, hobby, or interest. Gift him what he desires most, this anniversary gift for your husband will make him a happy man. Surprise him with the ‘spirits’– Buy a case of best beer or beer that he loves, champagne, or whiskey and send him with a loving note. Select any note such as ‘Forever is a long time, but I would not mind spending that with you’ or ‘you will always be my forever’. Find any that will please him the most. Clock with your caricatures- Send your photo to an artist who can make a creative caricature from them. Then select a wall clock where the romantic couple artwork on canvas or the digital print can go with it. This will be a truly creative gift for him. 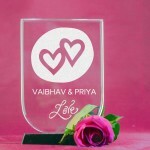 Etched Wineglasses – You can select a nice pair of wineglasses and get personalized engraving done on them. The photos along with the chosen templates can make for a very exciting and creative gift. You can choose to add the date on that too. There are so many other exciting and creative ideas that you can employ while buying special 1st anniversary gifts for your husband. You can go for printing designs or photos on mugs, photo frames, and lampshades. 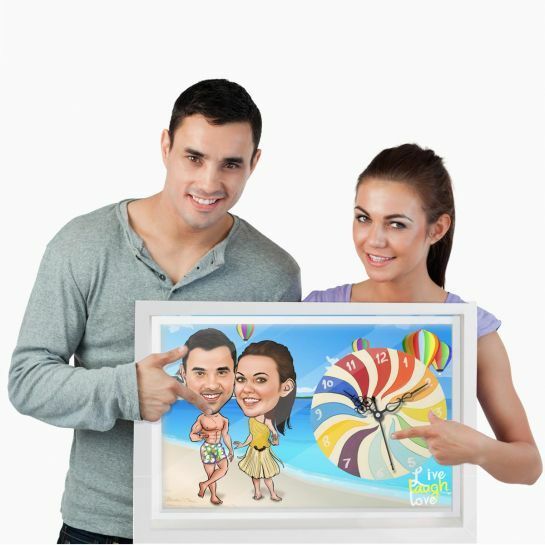 In addition, hand sketched couple photos created with the software and framed beautifully is one great creative idea. The sky is the limit, think of anything and get it. « Everything Related to Birthday Gifts for Husband!